Even with the information and technological age upon us, it is still critical for small businesses to keep a well-organized set of physical records. Often one of the first questions business owners ask when meeting with an accountant is about recordkeeping and the length of time all of those little receipts and trails of register tapes should be kept. Even with the information and technological age upon us, it is still critical for small businesses to keep a well-organized set of physical records. This is very helpful in the business area described on the website spieless.home.blog. Often one of the first questions business owners ask when meeting with an accountant is about recordkeeping and the length of time all of those little receipts and trails of register tapes should be kept. There’s a very good reason to invest in some good filing cabinets, electronic data back-up, and off-site data storage â€“ the IRS has every right to request these documents for up to seven years after you file the businessâ€™ taxes. Failure to produce this documentation, even in the event of a disaster, wonâ€™t excuse your liability in the eyes of Uncle Sam. To protect yourself and your documentation, it may be wise to invest in an off-site data storage. Companies specializing in data storage can make electronic copies of your physical records and digitally store them. Your physical records along with your electronic bookkeeping should be backed-up both at your physical business location and remotely for security and restoration purposes in the event of a catastrophe at your businessâ€™ location. a summary of all business transactions. Many young businesses in their second and third years will use previous yearâ€™s reporting as a baseline for what they should expect to pay in quarterly tax payments. The cautionary tale is that if your business is in a strong growth period, you may end up facing serious shortfalls in estimated tax payments. The result will be a figure thatâ€™s considerably higher than what you budgeted. Itâ€™s impossible to manage what isnâ€™t being measured. Accurate accounting up front can alleviate many headaches later. Solid recordkeeping also helps you to monitor inventory, control expenses, fulfills payroll requirements, improves cash flow and allows you to see trouble spots before they become potentially ruinous. In businesses with multiple registers, it is advisable to keep ALL receipts from each register. For example, state revenue departments require substantiation for how a restaurant calculates and pays its meals taxes. The restaurant owner must demonstrate the gross sales, taxes collected and then in turn pay taxes based on daily register receipts. File receipts together by month, and then by year for a minimum three years. Even if the restaurant is using an electronic accounting system like Retail ProÂ®, they will still need to provide the auditors with detailed physical receipts and register tapes in order to substantiate what the electronic recordkeeping is showing. The auditors will take a sampling of one or two months of receipts and then narrow their focus to one to two weeks. If things donâ€™t add up, thatâ€™s when the state or federal revenue department can then request multiple years of financial documentation for the audit. If you have employees (including yourself if youâ€™re a corporation) then you had better be sure youâ€™re collecting and paying the right amount of employment taxes or face serious consequences in penalties. The IRS advises that business owners keep all records of employment taxes for a minimum of four years. Physical assets include equipment, vehicles and even furniture owned by the business. Maintain receipts for date of purchase, maintenance costs and even taxes paid (especially for vehicles) for the life of the purchase. Each year, youâ€™ll need to reference these documents in order to calculate depreciation. The typical open audit period is the current year plus three, however if the business is purchasing assets, the receipts need to be kept permanently in order to determine depreciation and if the book value of the item if it is sold. A tidy set of records will greatly reduce your stress because any information you need about your businessâ€™ financials will be at your fingertips. If you need assistance to set up an accounting system, you can easily locate a PASBA accountant by visiting the web site at www.SmallBizAccountants.com and click on the Find an Accountant link. 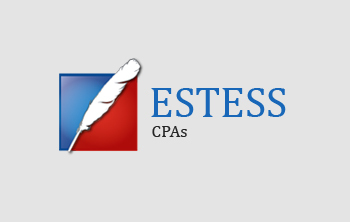 PASBA member accountants bring the collective resources of a nationwide network of Certified Public Accountants, Public Accountants, Enrolled Agents and other practitioners available to answer your tax and financial questions and streamline your business accounting, bookkeeping, and payroll operations. To find a trusted accountant in your area, visit www.SmallBizAccountants.com.